that teaches students HOW TO prevent and reduce bullying on the bus, on the playground and in the school. It is no secret that teachers and administrators have a lot on their plates when it comes to educating our students. With an emphasis on academics, there's very little time in the day to teach bully prevention. The Duck Sense Bully Prevention Curriculum is an excellent way for teachers to stay on track with their daily lessons while simultaneously implementing bully preventative skills and assignments. The Duck Sense Bully Prevention Curriculum has been piloted at a Charter School in Flint, Michigan with outstanding result. It has received rave reviews from the Principal, teachers, and counseling staff. It is the type of program that can work within the goals and objective of the school's positive behavior support program. The Duck Sense Curriculum and Activities Book is a great supplement to other curriculums and programs you may already have established at your school. We also have several schools throughout the country that implement the program as part of their Positive Behavior Support programs and policies. Several Schools in New Jersey, Arizona, Michigan, Ohio, Texas, Colorado, Illinois, Pennsylvania, and Wisconsin are implementing the Duck Sense Program. If you are serious about bully prevention please consider interactive, educational, value driven, fun bully prevention curriculum and activities book. "The Duck Sense Program initiatives at our school helped contribute to the 18% drop in office referrals this school year and a 15.5% drop in suspensions!" 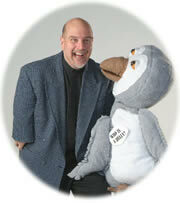 The Duck Sense Bully Prevention Curriculum and Classroom Activities are geared for Grades 1-6. It is 166 pages of valuable bully prevention strategies, discussions, activities, handouts and creative positive behavior awards and certificates. Many teachers who have implemented our curriculum have commented on how easy it is to include the discussions and activities as part of their daily lesson plan. They also like the way the lessons include subject areas such as American History, English, Social Studies, Communication Arts, reading, writing, motor skills and many more. Counselors like the way each lesson illuminates several positive behavior traits such as self respect, self improvement, confidence, self control, kindness, understanding, empathy, friendship and honesty. What is a Target of a Bully? Some of the lessons have examples of famous people in history who were bullied and the things they did to better them selves and improve their situation. Historical figures like Ben Franklin who was bullied by his half brother. Martin Luther King Jr. and Rosa Parks, two outstanding citizens that peacefully spoke up against those who discriminated and bullied people of color. How Paul Revere established a reporting team to shout and inform everyone that the British were coming. Through these stories the students learn how they can work to better themselves and their community. They discover how Ben Franklin worked hard to improve his self-esteem/self-confidence by learning to read and helping with community improvement projects. They come to understand that it was the thousands of people that joined Martin Luther King and Rosa Parks to stand up and speak up against discrimination and how they can also speak up against bullying in the school and on the bus. They also learn that like Paul Revere sometimes we need to have the courage to warn our fellow students, tell our teachers and parents that there is a bully on the bus or in the school. In addition to the history lessons there are many games, activities and handouts facilitators can use to playfully remind the students that bullying is wrong. 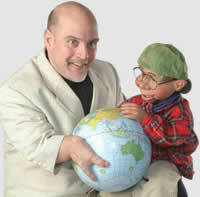 One activity in lesson three is entitled "Head Held High", it is game that helps promote self-talk and self-confidence. The students balance a book on their head and smile, while walking across the room. In the curriculum the teachers are given examples on how they can add in geography, math, and counting as part of this fun activity. In lesson four there is a Writing and English assignment where the older students have to write about someone they appreciate, it could be a friend, teacher, family member. The younger students are instructed to stand up and talk about someone they appreciate in their classroom and everyone applauds them to promote appreciation. In lesson five there is a memory skills game where 6-10 students face the rest of the class. The first student says something like "I feel good" and smiles. The next student repeats what the first student said and adds something to it then smiles and moves on to the next student. The mission is to have each student remember what the other student said and repeat it in addition to adding on to the original statement of feelings. 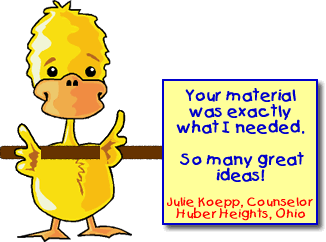 Lesson seven promotes and explains how to create a mission statement, vision statement and goals, for a Duck Sense Bully Prevention Team. There are many certificates; project and meeting agenda examples to help the students and leaders conduct an orderly productive monthly meeting. Throughout the book there are so many priceless games, activities and discussions that students will want to do again and again. Activities that will remind them daily that bullying is wrong and they must all set a goal daily to appreciate who they are, respect others, speak up and stand up against any negative aggressive bullying behavior. wonders for our school. Most anti-bullying campaigns only preach to "not be a bully." The Duck Sense Curriculum not only addresses this, but takes it a step further and teaches kids how to stick up for themselves in a civil manner when confronted by a bully. Learning how to stand up for yourself is a crucial life skill that students need to learn. I would highly recommend Richard Paul's Duck Sense curriculum to any school looking to address the serious topic that is bullying." If you would like a sample of this outstanding bully prevention curriculum click here. 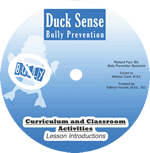 The retail price of the Duck Sense Bully Prevention and Classroom Activities is $49.95 including shipping and handling, but if you purchase the electronic copy today the discounted rate is $29.95. If you act now, as an added bonus you will be able to receive a DVD with seven lesson introductions (just pay shipping and handling). Richard and several of his funny puppet friends give a short explanation of each lesson the students are about to begin. It's like having Richard perform an educational, short skit for your school at the beginning ofeach lesson. Book one of Richard's Bully Prevention School Assemblies, Parenting or Teacher-in-service bully prevention program or book Richard as one of your bully prevention expert keynote speakers and receive an additional 25% discount off the Duck Sense Bully Prevention Curriculum and Activities E-Book. Sign up for our monthly newsletter or contact us below!